Opportunity for out of school time education to support career development for African American Youth residing east of the Anacostia River. The interns talents and desire to learn varying areas of the production arts has been essential in shaping the program curriculum and activities. Technical Theater Training program for youth in Ward 7 & 8. Soft skills training provided: Financial literacy, Professional Etiquette & Resume Writing, Portfolio Building, and Public Speaking. 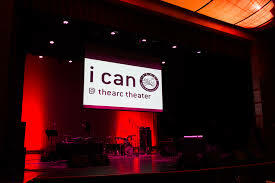 iCAN interns work at THEARC Theater and Black Box. In Need of Production Support? Year-Round cycle of the program is available for students matriculating in high school, vocational, and college programs during Summer, Fall, and Spring. The year-round cycle concludes with a College & Production Tour providing experiences for youth to visit colleges & universities, experience a live production, and go behind the scenes to learn more about production career pathways. Summer 2017 iCAN Technical Theater Interns collaborated with the SYEP program at Malcolm X to produce the music video “America” for the The Crossrhodes under the direction of Chris Scholar and Kornerstone Productions. iCAN Interns served as Videographers, Assistant Directors, Talent, and Lead Cast.